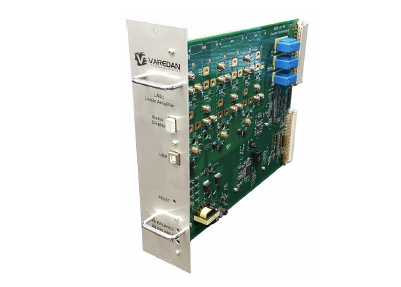 The VRS-LA6U Varedan Rack Systems build upon the proven performance and reliability of Varedan Technologies linear amplifiers and VPS power supplies by enabling the creation of compact and modular multi-axis packages in the industry standard rack mountable 6U form factor. The LA6U Linear Servo Amplifier Series are the perfect choice for systems requiring low radiated noise and zero distortion. 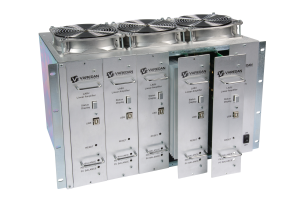 These high power linear amplifiers are well suited to drive loads such as brushless and brush servo motors or voice coils. Our designs incorporate class AB linear output stages for true linear output. A complete multi-axis system of up to five LA6U linear amplifier modules and one VPS-LA6U power supply module can be installed in a standard 19 inch rack reducing system wiring and system complexity. The pluggable LA6U linear amplifier modules are available in multiple power levels and motor configurations including three-phase brushless, single-phase brush/voice coil, and the new “Independent” configuration capable of driving three separate single phase loads from each LA6U amplifier module. This allows the engineer to create and configure up to an astonishing 15 axis high power precision linear motion control solution with one 6U size 19 inch rack mountable enclosure. The following is an example of D-Mode operation, (or one or two voice coil connected to a T-Mode amplifier). 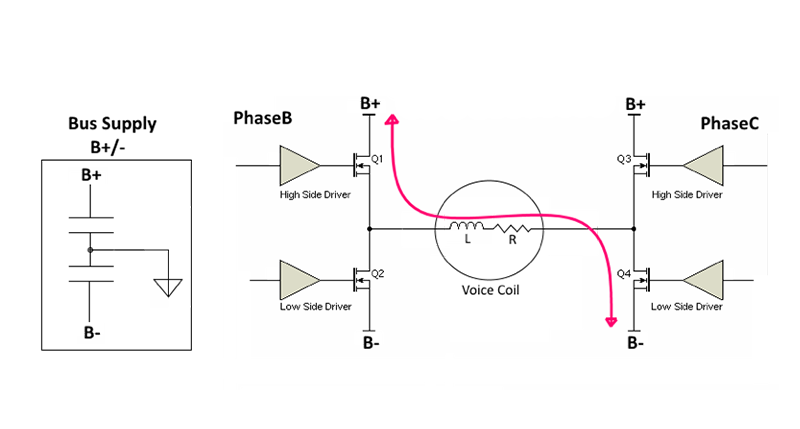 When operating in Half-Bridge configuration (Phase to Common), the maximum bus voltage that can be applied to the voice coil is 1/2 of the full +/-Bus supply. 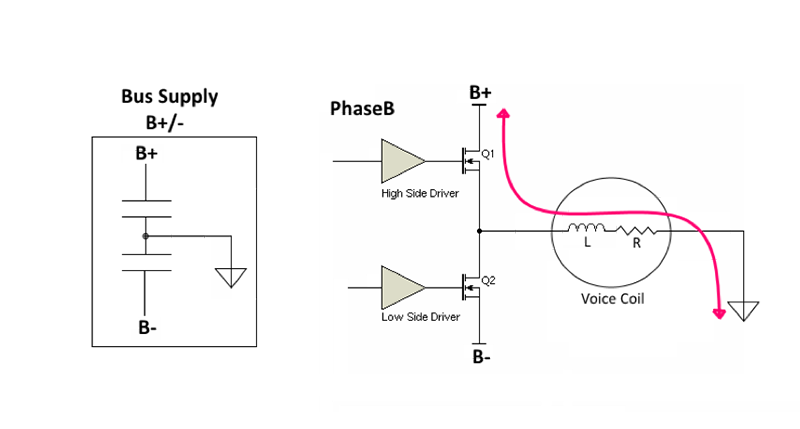 For example if you are using a +/-50VDC bus and a half-bridge connected voice coil, the maximum voltage that can be applied to the voice coil is +50V or -50V. This is illustrated in the following picture which shows positive current from phaseB to Common (+50V). 5/15 Amps 400/1200 Watts ±12 - ±150VDC 11.025" x 9.19 x 2.77" 4.6 lbs. LA6U-525 10/25 Amps 500/1500 Watts ±12 - ±150VDC 11.025" x 9.19 x 2.77" 5.0 lbs. LA6U-540 20/40 Amps 500/3000 Watts ±12 - ±150VDC 11.025" x 9.19 x 2.77" 5.5 lbs. 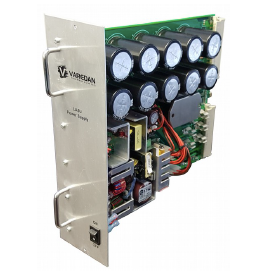 LA6U Series Linear Amplifier Modules - The LA6U series linear servo amplifier modules are the next generation of high-performance motion products from Varedan Technologies. They are the perfect choice for systems requiring low radiated noise with zero distortion. These current mode linear amplifiers are well suited to drive loads such as brushless and brush servo motors or voice coils. 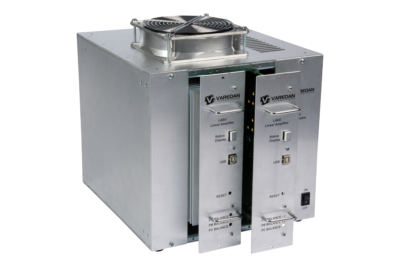 VPS-LA6U Power Supply Module - The VPS-LA6U power supply module is designed to slide into our 6U rack mount system. The VPS-LA6U accepts a center tapped single or three phase AC input from an external transformer to generate the +/- DC bus voltage. In addition, the VPS-LA6U also generates +5VDC@10A, +/-15VDC@3A & +24V@2A. VRS-LA6U-5A 5 Amplifier Module Rackmount Enclosure - The VRS-LA6U-5A is a modular enclosure that holds up to 5 LA6U-400 or LA6U-500 series linear amplifier modules along with one VPS-LA6U power supply module giving you up to 15 axis of control in a standard 19″ rackmount configuration. VRS-LA6U-2A 2 Amplifier Module Stand Alone Enclosure - The VRS-LA6U-2A is a modular enclosure that holds up to 2 LA6U-400 or LA6U-500 series linear amplifier modules along with one VPS-LA6U power supply module giving you up to 6 axis of control in a stand-alone enclosure.